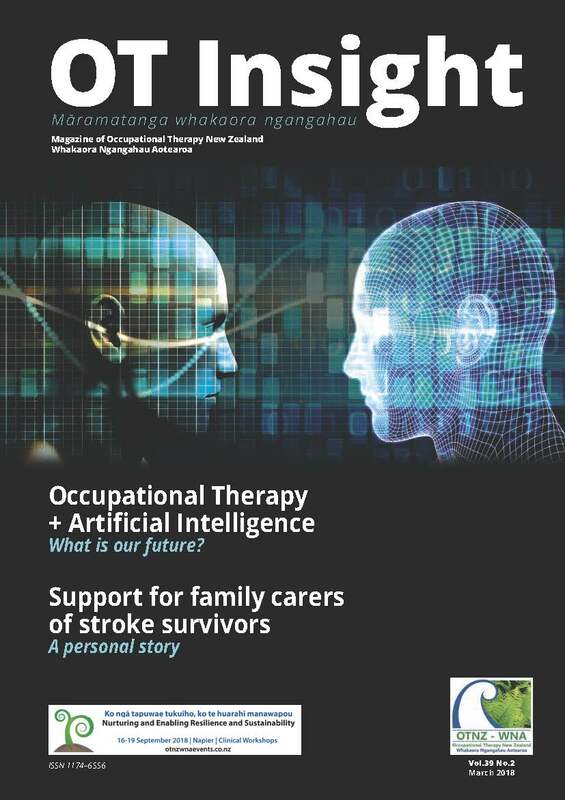 Occupational Therapy New Zealand Whakaora Ngangahau Aotearoa - » Exciting news in our March 2018 OT Insight! Exciting news in our March 2018 OT Insight! Click this link – to our March 2018 OT Insight edition and discover the many insights and benefits of embracing technology in our industry. Peter Anderson, Executive Director (pg4) provides us with an update on the work of the association OTNZ-WNZ, the EAP programme, Hand Therapy, Mental Healthy review and our Professional development and lifelong learning initiatives. Stacey Kay (pg 18) gives us a glimpse into her busy life as a mother of 3 who chose to change career paths midstream and how she is coping with the challenge of juggling family commitments and her OT study.